A month ago I blogged about taking the Sony NEX-6 and four lenses on a trip to Turkey. At that time there were two unresolved issues. Here’s how they worked out. LCD Shutoff: While in Turkey, this problem became progressively worse. I often used the rear LCD tipped up 90 degrees. This allowed me to shoot from very low without having to get down onto my knees. But as the camera warmed up, particularly with the LCD set to ‘Bright’ for exterior use, I found it would shut off whenever I tipped the camera up from horizontal. If I tipped the camera down to or beyond horizontal, it worked fine. I emailed B&H from Turkey who write back, “No problem,” and as soon as I returned home, I sent it to them in exchange for a new one. Fast forward a few weeks. The replacement NEX-6 arrives and…it has the same problem. Not only that, but so does my NEX-7!! What’s going on? A design defect? So here’s the embarrassing truth. It was user error all along. There’s a sensor on the rear of the camera that switches between the LCD and the electronic viewfinder (EVF) when you put your eye to the EVF. I was holding the camera up against my own (too large) body, and when I tipped the camera up just slightly, the camera said to itself, “Oh, there’s a very large mass close to the EVF. I’ll switch over to that mode.” Yup, it had nothing to do with brightness, heat, attitude, etc. All I’ve had to do to solve the problem is to hold the camera two inches away from my body, and everything works fine. Oops. 18-200mm Autofocus: Immediately before the trip I bought the SEL18200LE superzoom, one of the four lenses I took on the trip. One reason I took the NEX-6 instead of the -7 is that the NEX-6 has superior phase-detection autofocus. That is, so long as the lenses support it and have been upgraded with the latest firmware. I was able to update the firmware in my other lenses myself, but for some reason Sony requires that you send your (brand new) 18-200mm zoom back to them for this upgrade, and it takes two weeks. Since I was about to leave on the trip, I decided to wait until I got back and to suffer with the inferior autofocus when using this lens. Now the superzoom is back, so how much difference is there? Not as much as I’d hoped. The time it takes for the lens to rack from far out-of-focus to in-focus isn’t any less. It’s still slow. At 200mm, for example, it takes a full four seconds to focus from one extreme to the other, essentially the same as before the upgrade. There is one improvement, however. Because of the addition of the phase-detection autofocus sensor, the lens doesn’t have to “hunt” nearly as much when it focuses. It still takes a long time to go from one extreme to the other, but once it gets to the right focus it stops there fairly quickly. And if it starts fairly close to in-focus, it does a better job than previously. Before the firmware upgrade, it would overshoot, then correct and maybe correct again while it used only contrast to determine what’s in focus. The phase-detection sensors allow the camera to predict the in-focus point and therefore minimize the overshoot. It’s still not as good in this regard as the big Nikons. The NEX-6 still scratches its head a bit, whereas the D3s virtually jumps to the perfect focus. All in all, I’m now happy with the NEX-6. I’ll probably sell the NEX-7 to fund something new. I prefer the controls on the NEX-6 — I’m tired of inadvertently changing things on the -7 — and who really needs 24MP for casual use? 16MP in the NEX-6 plus the better autofocus make it my favorite in this family. < Previous Prime or Zoom? 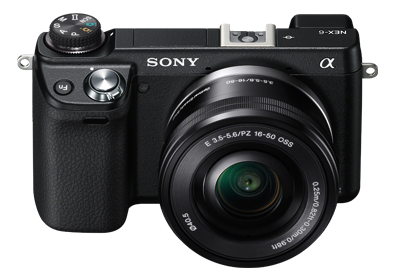 Next > Sony RX1R — Visions of Cameras Future? Lol… maybe the EVF sensor? Lol…..